Assume that you've published the report in the previous part of this blog, complete with Southern and Northern security roles. What you now need to do is to stop people seeing data that they're not entitled to see. Select the dataset, and choose this option from its menu. 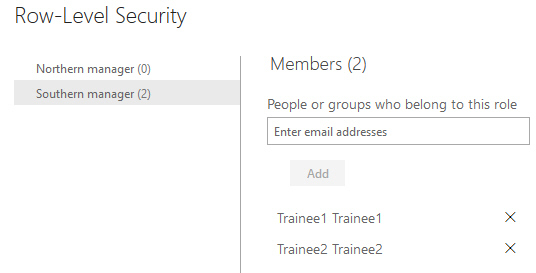 Here we've assigned two email addresses to the Southern manager role. Select a role from the dialog box shown above, click on the ellipsis (...) for it and choose to test it. 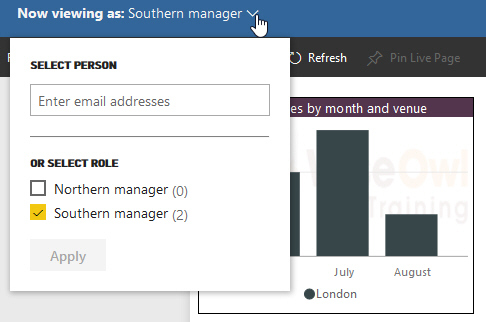 Here we're viewing the report in the Southern manager role, but you can use the dropdown to change this. 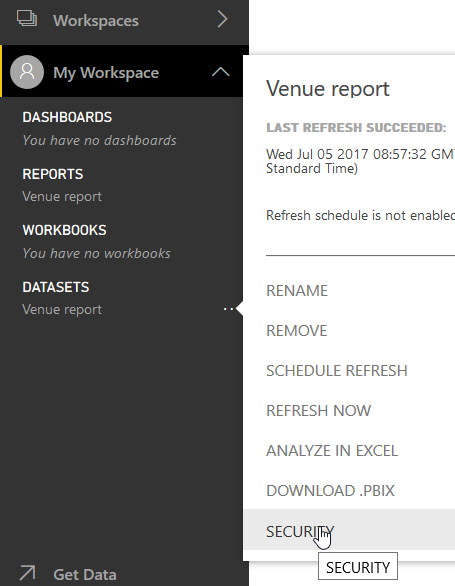 Note that you can only see reports using this feature, and not dashboards. Choose the option shown. 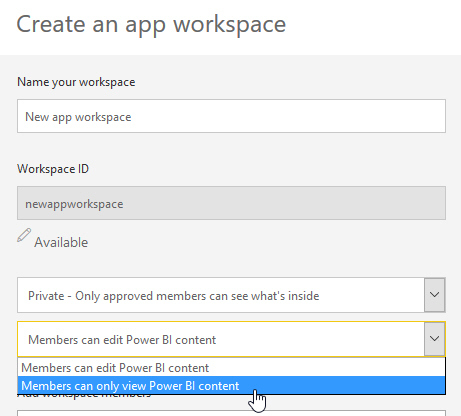 If you leave this as the default option Members can edit Power BI content, row-level security will be ignored. Having set up any row-level security you may want, I'll finally look briefly at what underlying data a user can see when you share a report.